Dr. Richard Zeff is a board certified plastic surgeon who serves the New Hampshire and broader New England area. He received his undergraduate degree from Tufts University, followed by his medical degree from the University of Miami. In private practice since 1986, he has over 30 years of experience enhancing the face, breasts, and body utilizing the most advanced techniques available. Following graduation from medical school, Dr. Zeff completed additional medical training, including a surgical internship at New York University’s Bellevue Hospital, as well as general and plastic surgery residencies in Des Moines, Iowa, and Chicago, Illinois, respectively. 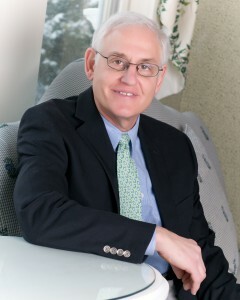 Dr. Zeff is certified by the American Board of Plastic Surgery, and he is an advocate of continuing medical education. Furthermore, Dr. Zeff is a member of numerous esteemed medical organizations, including the American Society of Plastic Surgeons (ASPS), the American Society for Aesthetic Plastic Surgery (ASAPS), the New England Society of Plastic and Reconstructive Surgeons, and the New Hampshire Medical Society. A former Chief of Surgery at Portsmouth Hospital, Dr. Zeff remains an active staff member at the facility. He performs surgical procedures at his well-equipped office suite or at the state-of-the-art Stratham Ambulatory Surgery Center, located just a few minutes from his practice. Dr. Zeff takes pride in not only individualizing his patient evaluations but also in taking the time to educate and explain. During your initial consultation, Dr. Zeff will develop a customized treatment plan designed to optimize your outcome, regardless of whether you’re seeking breast augmentation, facelift, liposuction, eyelid surgery, tummy tuck surgery, or non-surgical laser skin resurfacing. He and his exceptional team administer BOTOX® Cosmetic and dermal fillers, as well as medical skin care treatments. The practice is conveniently located in Stratham, New Hampshire, close to Maine and Vermont, as well as many New England neighborhoods. The first and often most important decision you can make when it comes to plastic surgery is often the first one: selecting your doctor. Choosing a board certified plastic surgeon can give you confidence that your physician is extensively trained, knowledgeable, and experienced. To become board certified, a physician must complete general and plastic surgery residencies at accredited facilities and go through a rigorous evaluation process that includes oral and written exams. The American Board of Plastic Surgery currently requires members to renew their certification every 10 years to maintain their standing. You can confirm your plastic surgeon is certified by checking the official website for The American Board of Plastic Surgery. In addition to being board certified in plastic surgery, Dr. Zeff has over 30 years of experience helping patients achieve their cosmetic goals. His patient-focused approach emphasizes safety, compassion, excellence, and natural-looking results. He takes the time to listen to each person’s needs and desired outcome. He customizes each treatment plan to best suit the individual and to provide optimal care. Dr. Zeff also attends continuing education courses to remain at the forefront of his field, which gives him insight into the latest techniques and technology available. For more information about Dr. Zeff’s experience and education, or if you would like to schedule a consultation, please contact our office today.